ELKO, Nev. – The Bureau of Land Management (BLM) Northeastern Great Basin Resource Advisory Council (RAC) will meet at 9:00 a.m., Friday, Aug. 14 in Battle Mountain, Nev. at the BLM Battle Mountain District, 50 Bastian Road, Battle Mountain. Members of the public and media are cordially invited to attend. The RAC advises and makes recommendations to the BLM on public land management. 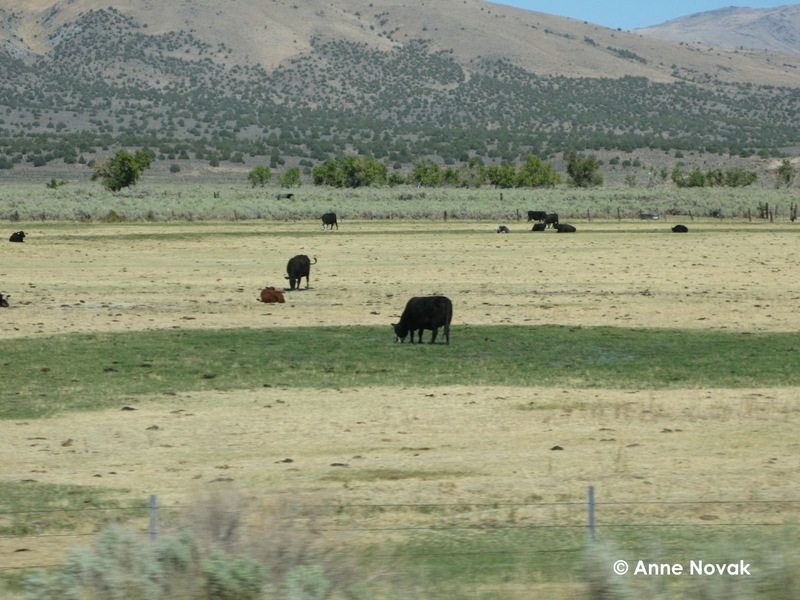 Discussion items will include, but are not limited to, drought, rangeland health; livestock grazing and term permit renewals. This meeting will include a field tour and members of the media and public wishing to accompany the RAC on the field tour will need to travel in high-clearance four-wheel drive vehicles and provide their own food and water. The public may present general written and/or oral comments to the RAC beginning at 9:15 a.m. The public comment period will last approximately 30 minutes dependent upon the number of comments. 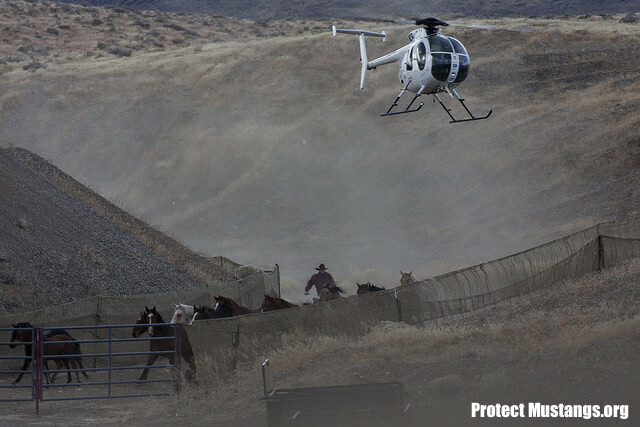 Written comments can also be submitted to Greg Deimel, Public Affairs Officer (gdeimel@blm.gov), Elko District Office, 3900 E. Idaho St., Elko, NV 89801, telephone (775) 753-0386. 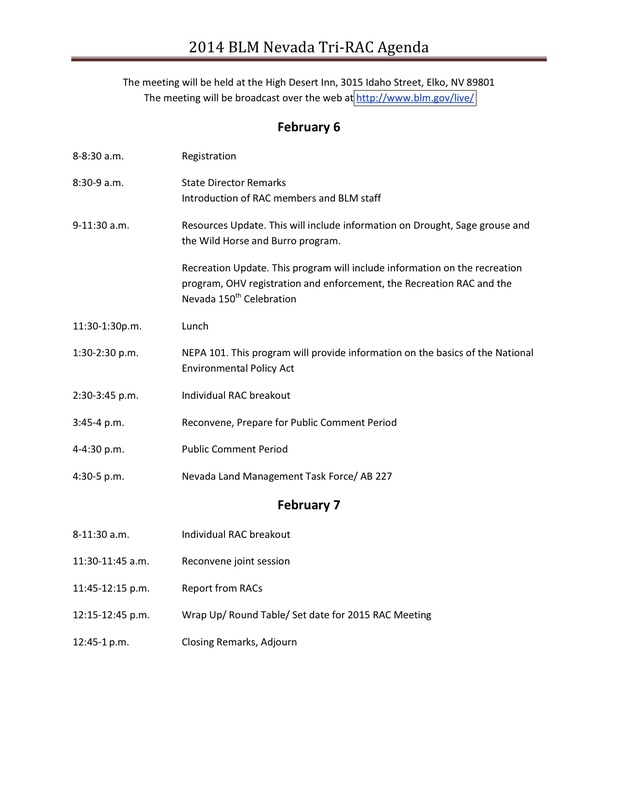 An agenda is posted at: http://www.blm.gov/nv/st/en/res/resource_advisory/northeastern_great.html. Individuals who plan to attend and need special assistance such as sign language interpretation or other reasonable accommodations, or those wishing a printed copy of the agenda, should contact Greg Deimel no later than Aug. 13, 2015.